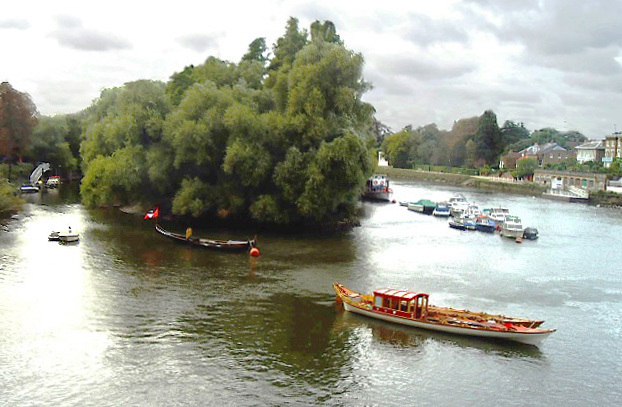 Originally known as Petersham Ait, this small island located in a stretch of river known as Horses Reach between Petersham and Twickenham was renamed Glover’s Island after it was bought by a Richmond-based waterman, Joseph Glover, in 1872. Having originally paid the sum of £70 for it, in 1895 Glover advertised it for sale for the rather higher sum of £5,000. The Richmond Corporation was approached but declined to pay such a high sum and so a couple of years later Glover, apparently in a move designed to put pressure on the municipal authorities, put the island up for auction with the suggestion it could be sold to Pear’s Soap Company and a massive advertising billboard erected on it. 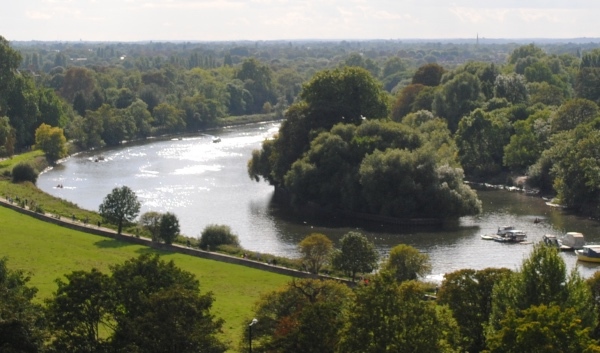 Amid concerns over the need to preserve the view from Richmond Hill from such an atrocity, efforts were made to raise public funds to purchase the island at auction but when the auction came around – in September, 1898 – only £50 had been raised. It didn’t matter – the highest bid at the auction only reached £200, however, so Glover didn’t sell, nor did he accommodate a local resident who apparently subsequently offered £1,000 for the island (with the intention of passing it on to the Richmond Corporation). Instead, Glover withdrew it from sale. Temporarily, it seems. Because in 1900, Richmond Hill resident – as well as businessman, art collector and philanthropist – Max Waechter, later Sir Max, bought the island for an undisclosed price and gave it to council with the condition that it never be developed. 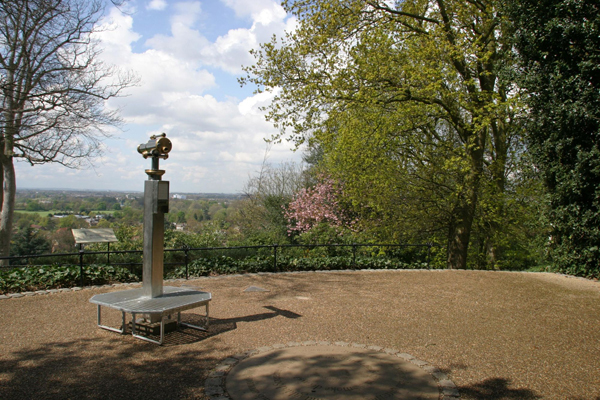 It remains so to this day – the uninhabited, heavily wooded half acre island, which was raised to its present height using rubble excavated from London Tube tunnels in the 19th century, still provides a pleasant feature in the landscape for those looking out from Richmond Hill and, with the view now protected by an Act of Parliament, that’s not likely to change. 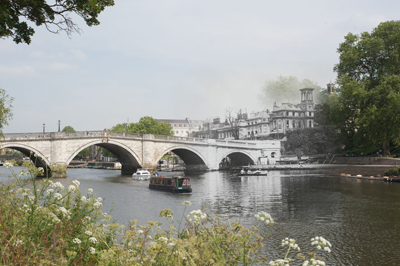 Crossing the River Thames just downstream of Richmond and Twickenham Bridge, the Richmond weir and lock complex (actually it’s a half-lock and it also incorporates a footbridge) was built in the early 1890s to maintain a navigable depth of water upstream from Richmond. The Grade II*-listed structure, which is maintained by the Port of London Authority, was formally opened by the Duke of York (later King George V) on 19th May, 1894. 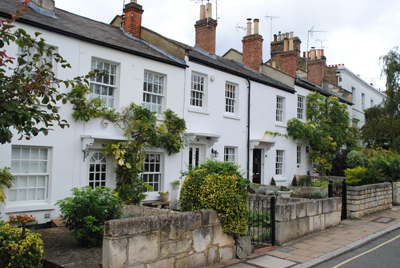 Old Palace Lane, Richmond, in London’s south-west. 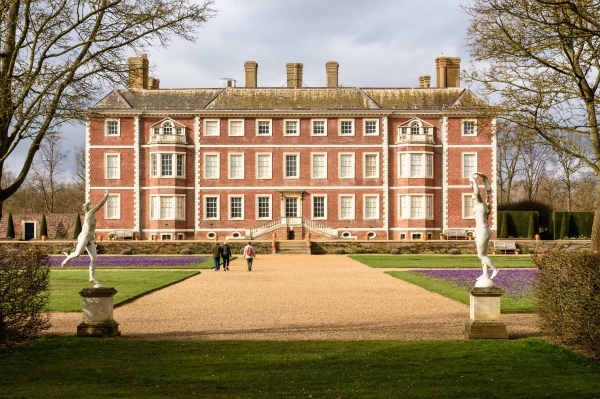 • Still celebrating the Queen becoming Britain’s longest reigning monarch, and a new film installation celebrating the reigns of Queen Elizabeth II and Queen Victoria – whose reign she has now surpassed – has opened at Kensington Palace. The film installation explores key moments in the reigns of both – coronations, weddings, births as well as other key moments in their public lives – and also examines the impact of new technologies in the reigns of both queens. For more, see www.hrp.org.uk/kensingtonpalace. 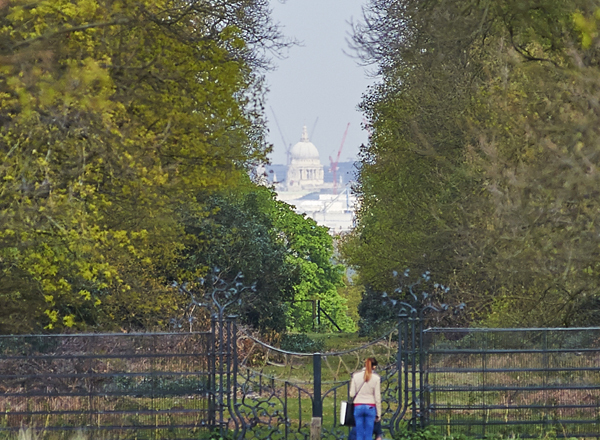 • Richmond Park in London’s south-west is holding its annual open day this Sunday with a range of activities for kids including pony rides, the opportunity to see inside a bug hotel with a fibro-optic camera and the chance make pills in a restored Victorian pharmacy. The Holly Lodge Centre, normally reserved for schools and learning groups, will open its doors to the general public will be at the centre of the day, offering a range of activities for children while there will also be a guided walk led by the Friends of Richmond Park, vintage car displays, and a World War I re-enactment. The day runs from 11am to 4pm. Entrance to the Royal Park is free but parking is £5. For more, see www.royalparks.org.uk. • This Saturday is Redhead Day UK 2015 and to mark the occasion, the Guildhall Art Gallery in the City of London is inviting visitors to celebrate by taking a selfie with Dante Gabriel Rossetti’s iconic redhead La Ghirlandata. Painted by Rossetti in 1873, the artwork, said to be one of the finest pre-Raphaelite works in the world, is on permanent display at the gallery. The painting features on the cover of Jacky Colliss Harvey’s new book Red: A Natural History of the Redhead, three copies of which will be given away in a special draw at the gallery. Entry is free. For more, see www.cityoflondon.gov.uk/things-to-do/visit-the-city/attractions/guildhall-galleries/Pages/guildhall-art-gallery.aspx. • A six metre high ceramic installation created for the V&A by artist Barnaby Barford has gone on display in the museum’s Medieval & Renaissance Galleries in South Kensington. The Tower of Babel is composed of 3,000 small bone china buildings, each of which depicts a real London shop. Bamford photographed more than 6,000 shopfronts in the process of making the work, cycling more than 1,000 miles as he visited every postcode in London. The work can be seen until 1st November. Admission is free. See www.vam.ac.uk. 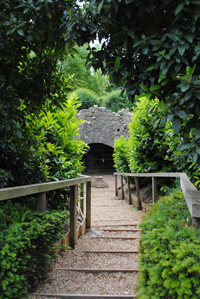 An area first fenced off within Richmond Park in the early 19th century, this ornamental garden remains an enchanting place to escape city life. It was former Prime Minister Lord Sidmouth who established the plantation in the south-west corner of Richmond Park in 1831 when he was deputy ranger, enclosing the 42 acre site with fences to keep the deer out and planting oak, beech, and chestnut trees with a view to growing them for timber. 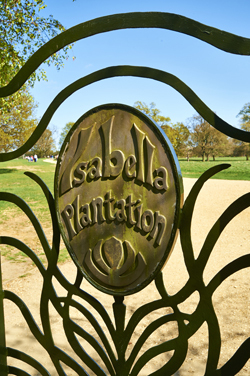 It was also he who, drawing on an older name for the area – Isabella Slade (Isabell is thought to have meant ‘dingy yellow’ in Old English and may refer to the colour of the topsoil in the plantation area while Slade meant a shallow valley) – gave it the name the Isabella Plantation. The garden as we largely know it now was established on the site in the years immediately after World War II with clearings, ponds and waterways (these are today fed from Pen Ponds), thanks in large part to George Thomson, superintendent of the park from 1951-71, and his head gardener, Wally Miller. 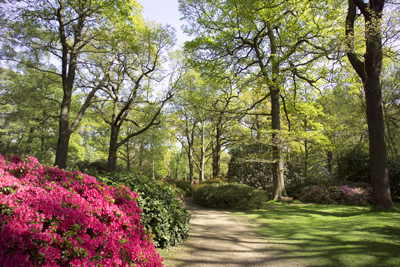 Isabella Plantation was opened to the public in 1953 although improvements – including the Bog Garden which was reconstructed in 2000 – continue to be carried out. Highlights among the flora include the National Collection of ‘Wilson 50’ Kurume azaleas (introduced by plant collector Ernest Wilson from Japan to the West in the 1920s) and large collections of rhododendrons and camellias. 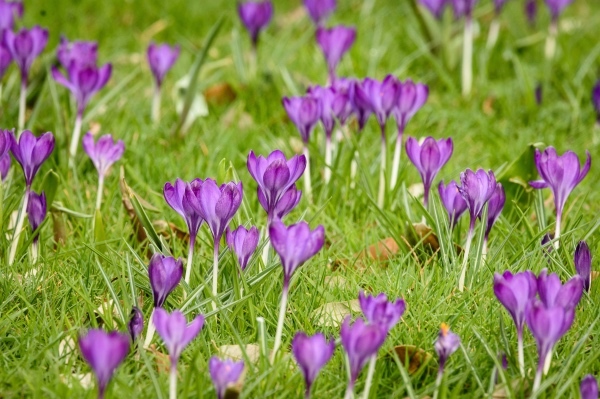 The garden also attracts a wide range of birds as well as other wildlife and offers the visitor something to see all year round. 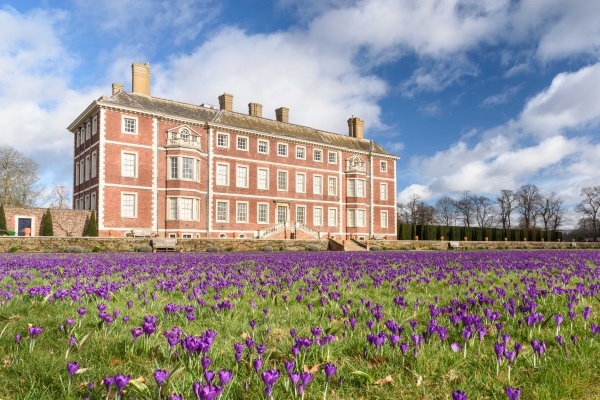 There’s a number of trails you can download free-of-charge from the Royal Parks website which will help you to fully engage with the plantation. WHERE: Isabella Plantation, Richmond Park (pedestrian access to the plantation from Peg’s Pond Gate, Broomfield Hill Gate, Bramble Gate, Deer Sanctuary Gate and High Wood Gate); WHEN: Daily (check Richmond Park opening times); COST: Free; WEBSITE: www.royalparks.org.uk/parks/richmond-park/richmond-park-attractions/isabella-plantation. • From Dr Livingstone, I presume? A recently unearthed collection of beetles gathered together by Dr David Livingstone during his Zambezi expedition of 1858-64 will go on display in its original box at the Natural History Museum in South Kensington on Friday night. The specimens were found among the museum’s 10 million beetles by beetle curator Max Barclay who stumbled on an unusual box received from a private collector. The collector was later found out to be amateur entomologist Edward Young Western (1837-1924) who apparently bought the specimens from a member of Livingstone’s expedition. The 20 beetles found inside the box are believed to the only surviving specimens known to have been collected by Livingstone. The specimens will be on show as part of Science Uncovered, a free annual after hours event – part of European Researcher’s Night – which will take place at the museum between 3pm and 10.30pm Friday night. Other highlights of the night include the chance to extract DNA from strawberries and bananas, create your own earthquake and chat live with NASA about chasing asteroids. For more, see www.nhm.ac.uk/scienceuncovered. PICTURE: Giant Predatory Ground Beetle, Termophilum alternatum © The Trustees of the Natural History Museum, London. • Totally Thames – the month long celebration of the great river – is going out with a bang this weekend with more than 300 crews expected to take part in the Great River Race. Running from Millwall to Ham in Surrey, the 21.6 mile long event attracts entries from across the globe. The first boats leave Millwall at 12.40pm. Head to the riverbank between Richmond and Ham at approximately 3.40pm to see the winners cross the line to a cannon broadside. For more on the Great River Race, see www.greatriverrace.co.uk. 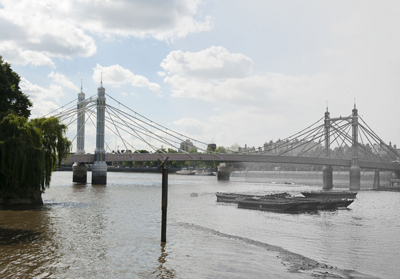 Other events on as part of Totally Thames this weekend include historic riverside walks – one focused on Brunel and another on London’s ports before the Great Fire of 1666 as well as exhibitions including Richmond’s River at Orleans Gallery House in Twickenham and your last chance to see Florentijn Hofman’s HippopoThames. 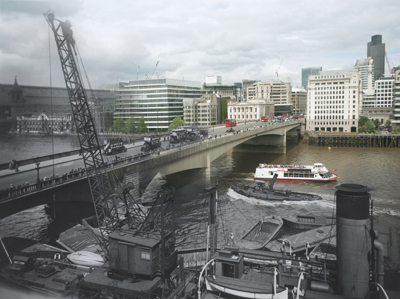 For more on Totally Thames, see www.totallythames.org. • Some of Snowdon’s most iconic images will be on show as part of a new exhibition opening at the National Portrait Gallery near Trafalgar Square on Friday. 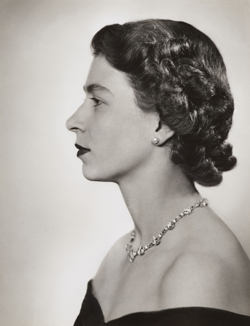 Snowdon: A Life in View will feature studio portraits spanning a period from the 1950s to the 1990s alongside images from Private View, Snowdon’s 1965 examination of the British art world, created in collaboration with art critic John Russell and then director of Whitechapel Gallery, Bryan Robertson. More than 40 black-and-white portraits are included in the display including some works acquired by the gallery last year. To be held in Room 37 and 37a of the ground floor Lerner Contemporary Galleries until 21st June. Admission is free. For more, see www.npg.org.uk. • On Now: Foundlings at War: World War I. This display at the Foundling Museum in Bloomsbury reveals for the first time the stories of foundlings who fought as well as those of the mothers forced to leave their children at the hospital as a result of bereavement or abandonment of those serving abroad. A free digital ibook, The Foundlings at War: World War I, containing expanded background information was published to coincide with the opening of the display earlier this month and can be downloaded from iTunes. The exhibition is part of a major research project, Foundlings at War, supported by the Heritage Lottery Fund and is the first of several displays examining the institution’s historic links with the military. 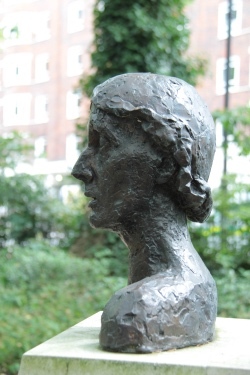 For more, see www.foundlingmuseum.co.uk. This pub situated on the bank of the River Thames in Richmond, in London’s west, owes its name to a former monastery which once stood on the site. A pub has been on the site since at least 1748 when it was known as the Waterman’s Arms. 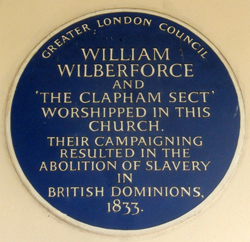 But the current building dates from 1838 and it was renamed the White Cross shortly after. There’s a couple of competing theories behind its name – one is that the landlord at the time of the name changed was one Samuel Cross. 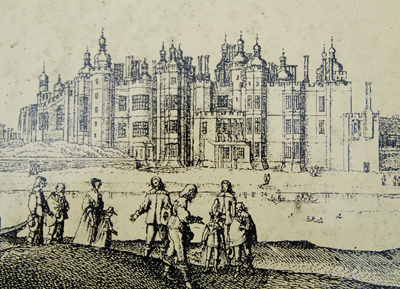 The other is that it was named after the friary which once stood on the site and was dissolved, no surprises here, by King Henry VIII, in 1534. The friary had been established by Observant Franciscans, who took the white cross as their symbol, around 1500. Apparently some remains of the friary may be incorporated into the cellars of the pub. Other features to note are the lovely open fireplaces including one oddly placed under a window (delightful on colder days), and the sign pointing to the door on the side of the pub which states that this is the entrance in times of high tide (these usually occur during spring and see access to the front entrance blocked by the rising river water). Located off Water Lane in Richmond. 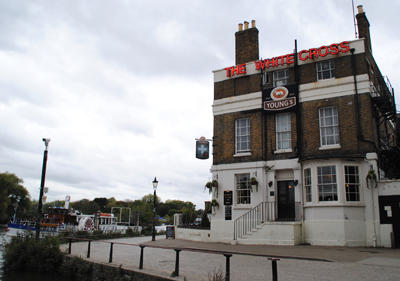 For more on the pub, check out http://thewhitecrossrichmond.com. Can you identify where in London this picture was taken and what it’s of? If you think you can, leave a comment below. We’ll reveal the answer early next week. Good luck! 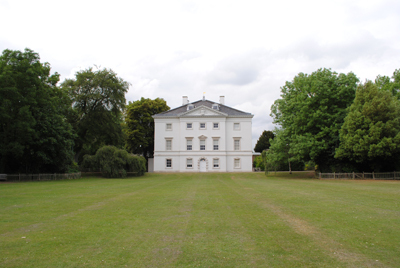 Well done to Sue and Helen – this is, of course, Marble Hill House, located in south-west London on the banks of the River Thames between Richmond and Twickenham (this picture is taken from the opposite side of the Thames). 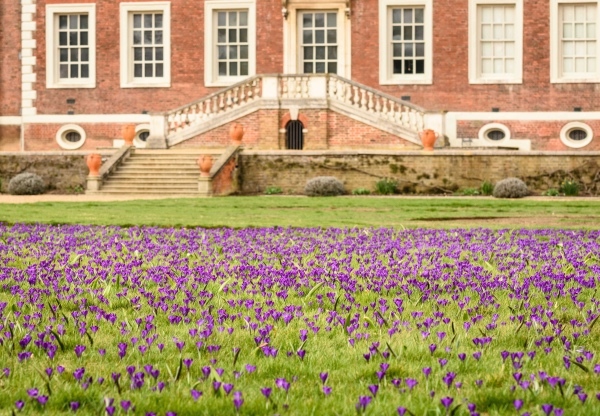 Built for Henrietta Howard, mistress of King George II when he was Prince of Wales, for the lady in her “retirement” from court, the Palladian villa is set among 66 acres of parkland. We’ll look at the house in more detail in a later post. 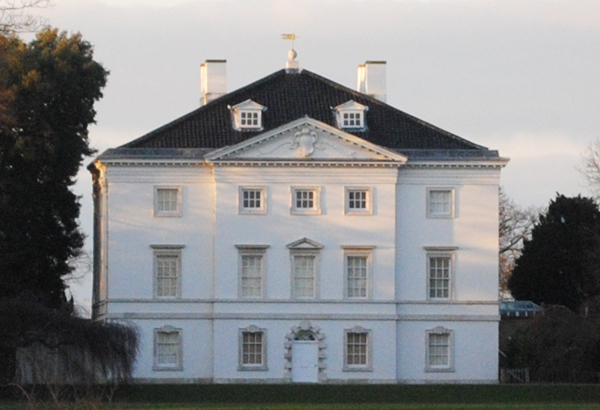 WHERE: Marble Hill House, Richmond Road, Twickenham (nearest Tube station is Richmond (1 mile) or train station, St Margarets (0.5 mile)); WHEN: 10am-2pm Saturday, 10am to 5pm Sunday (cafe and park are open daily); COST: £5.70 adults/£5.10 concessions/£3.40 child (5-15 years); WEBSITE: www.english-heritage.org.uk/daysout/properties/marble-hill-house/. 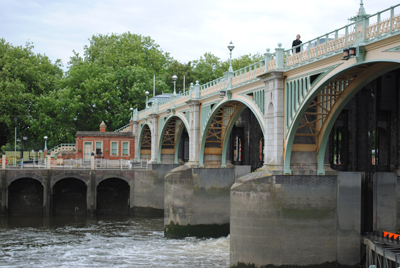 Where’s London’s oldest…bridge over the Thames? 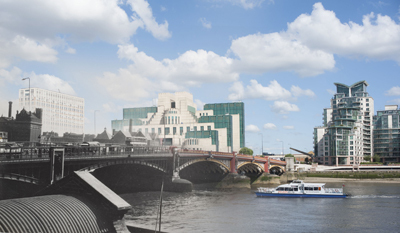 While there’s been a bridge over the River Thames near where London Bridge now stands since Roman times, the bridge which is currently there was built in the early 1970s. 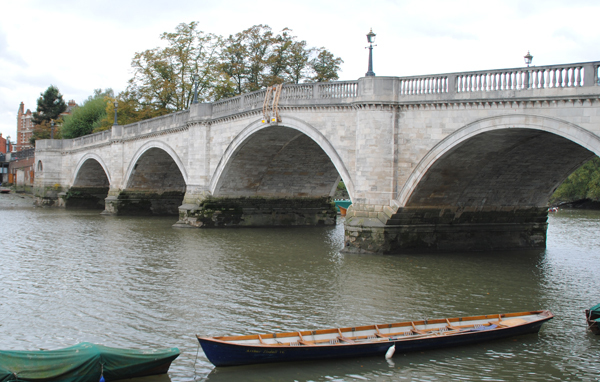 To find Greater London’s oldest surviving bridge across the Thames we have to head to Richmond in the city’s west. The 300 foot long stone arch bridge, made from Portland stone, was built between 1774-77 and replaced a ferry crossing between Richmond to the east and East Twickenham to the west (this had apparently been in operation since shortly after the Norman Conquest and at the time it was discontinued consisted of two vessels – a passenger craft and a ‘horse boat’). Designed by James Paine and Kenton Couse and built by Thomas Kerr, the bridge features five arches including a 60 foot wide central span which was big enough for larger watercraft and gave the bridge its rather humpbacked appearance. Its construction was privately funded with the £26,000 required to build the bridge partly raised via tontine schemes under which subscribers paid an agreed sum into a fund after which they each receive an annuity, the value of which increases as members of the fund die off. Initially a toll bridge (the tolls – which were 1/2d for passengers and up to 2s 6d for coaches drawn by six horses – were ended in 1859 when the last tontine shareholder died), the bridge was widened in the late 1930s but – now a Grade I listed structure – remains essentially true to its original design. 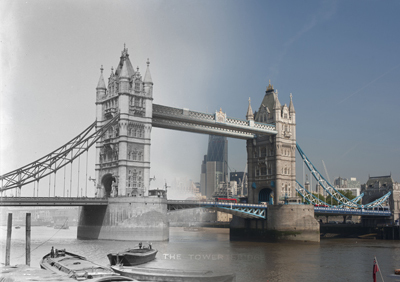 It was the eighth bridge to be built across the the Thames in Greater London but is now the oldest still standing (among those which predated it but have been demolished are London Bridge, Westminster Bridge and Blackfriars Bridge) and has been featured in paintings by the likes of Thomas Rowlandson, John Constable and JMW Turner.